Taking strong exception to the alleged anti-people move of the BJP-led Government in Arunachal Pradesh led by Chief Minister Pema Khandu by amending rates prescribed by Arunachal Pradesh Land Settlement Act-1986, the Arunachal Pradesh Congress Committee (APCC) has decided to conduct an in-depth study on cascading effects on heavy penalty imposed on the poor people of State. “The State Government has circulated revised land rates issued on March 12 by categorizing land into A, B, C, D and E categories with skyrocketing rates from Rs 5 and Rs 10 to Rs 600 and Rs 1000 for residential and commercial respectively as decided by the cabinet on January 30 last as announced in 2018-19 budget. 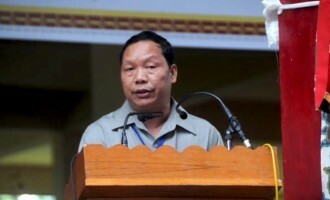 Thus, the APCC constituted a nine-member panel headed by APCC general secretaries Chera Taya and Toko Yaram as chairman and vice-chairman respectively who would conduct ground level study on pros and cons of the rates and submit its report by August 20 next,” APCC president Takam Sanjoy said in a release. The rates of commercial, residential, institutional and institutional without any source of revenue including religious have been notified without specifying the measurement of space, like square feet or square metre or hectare though the rate in earlier order was for square meter. The enclosed circular without head or tail given to the DCs to be effective within seven days is a concrete proof of governance, he added. Without land none could survive in this hilly state. Thus, it is for the masses to assess whether the present government is interested in welfare of its people or push them to the brink of starvation. Thus, the APCC would decide about launching mass democratic movement against such decision, the release added.